Barbera is the “people’s grape of the Piedmont” and one of the most widely-planted grapes in Italy. It produces a light, fruity and aromatic wine that a lot of people compare to Beaujolais, with nice bright acids and low tannin. It’s a red than can be and probably ought to be drunk young like Beaujolais, but with its solid backbone of acid, it lasts a bit longer in the bottle, too. I don’t drink too much of it, but I’m including it here because it’s important for new wine drinkers to explore a range of varietals and styles. This is mostly an Italy-only grape, with the exception of a bit that’s grown in California. The most popular growing regions in Italy are Alba, Asti and Monferrato, and they’re a bit different in styles. Barbera D’Asti is closest to Beaujolais style, while Barbera D’Alba is more full-bodied and robust. It’s actually a lovely wine with a solid core of blackberry and cherry flavors, and when it’s not over oaked – and it’s usually not – these come through bright and clean. Try Pio Cesare. This grape goes into some of the world’s finest Bordeaux wines – albeit in relatively small proportions – and as a result is known mostly as a blending grape. One notable exception is Chateau Cheval Blanc in St. Emilion, where it’s the core of this world-famous, hyper-expensive wine and one of the wines that Miles fawns over in Sideways. Elsewhere in France it’s the main grape in red wines from Chinon, Anjou, Champigny and Bourgueil and also in some Italian reds from Friuli and Alto Adige. In the US Cab Franc is gaining ground with a select group, however small, as a varietal wine in its own right. In any event, Cabernet Franc is an important grape in the pantheon of fine red grapes, despite what you’ll read in a lot of very good wine books. And it’s different from almost any other red grape in the remarkable perfume it provides to wine and in the greenish or so-called vegetal quality it has. For example, I was at a WineExpo tasting yesterday (3/8/08) in New York and was poured a red blend from South Africa. Before the guy behind the table could tell me what was in it, I remarked “this has to have a lot of Cab Franc in it.” This is less a tribute to my only average nose and palate than it is to the unmistakable aroma of Cabernet Franc and what it contributes to red blends. I think this is a tremendously unheralded, underrated red grape that is totally passed over by most wine writers and even in most wine books as an “assemblage” grape. To me it’s an interesting if lightweight cousin of Cabernet Sauvignon, has the charm and nuance of Pinot Noir at (often) a fraction of the price, and offers its own palette of spices and flavors that you can’t find elsewhere. The undisputed king of red wine, Cabernet Sauvignon is widely-planted, with hardy vines that produce thick-skin grapes which resist rot, mold and frost. It ripens late compared to most other grapes, which has both positive and negative consequences for growers (and drinkers). And because the berries are small, there’s a lot of pulp – skins, seeds, stems if the winemaker leaves them in – relative to juice, which also means a lot of tannin and other extracts. This, in turn, lends itself to long periods of oak aging, to soften those tannins and to give the wine other flavors that some describe as toast, vanilla, leather, and cigar-box. Don’t you like cigars? Let’s start by distinguishing between “old world” Cabs, and those in the new world, mainly the US, Central and South America, and Australia. And as you probably know, this makes a lot of sense because some wine regions of the worlds have naturally become synonymous with Cabernets – Bordeaux, first and foremost; Napa and Sonoma Valleys; Maipo in Chile; Mendoza in Argentina; and Coonawarra, Barossa and Yarra in Australia, for example. One of the biggest differences is that most old world wines based on Cabernet are meant to be aged in bottle for several years before you drink ’em. By contrast, while most new world Cabernets can use a year or two of aging, they are meant to be drunk virtually from the moment they are released to the market. Understanding Bordeaux wines isn’t easy, but hey, it’s probably a lot easier to figure out than Burgundy, where wines are named not only for the town or region where the grapes are grown, but often also for the vineyard, or even slice of a vineyard. There are two main types of Bordeaux, those based on Cabernet and those based on Merlot. However, even within each type is a marvelous range of styles, big differences in the mix and proportions of grapes, and some variation – although this is narrowing a bit – in wine making. New World Cabs you probably know about a bit about – certainly you’ve heard of some from Napa and Sonoma, maybe from Lodi and the Central Coast, Paso Robles, Monterrey, and perhaps from Washington and Oregon. Perhaps even from Long Island. And you’ve probably tasted a Cab or three from Australia, Chile or Argentina. New world Cab styles are more, as they say, “fruit forward” with less finesse and subtlety – they hit your palate with big, bold blackfruit. Straddling the old and the new worlds are Cabernets from South Africa, from, say, the Stellenbosch region. These are great because they have much of the finesse and subletly of France and yet are more pleasing to Americans because they are a bit bigger and bolder at the same time. Fun fact: Cabernet Sauvignon is an “accidental” grape and the result of the crossing of Cabernet Franc with Sauvignon Blanc in the 1600s, in France. This wasn’t determined with certainty until the late 1990s by a team from, of course, UC Davis’s School of Viticulture and Enology. Corvina grapes, along with Rondinella and often Molinara, go into Valpolicella wines, adding up to the second-highest production of reds in all of Italy. Valpolicella DOC wines are good, and Valpolicella Classico DOC Wines are even better and of course, more expensive. For my money, though, the fabulous Amarone wines are the true stars. In an Amarone the grapes are plucked from the vines and then, rather than being immediately crushed, juiced and fermented, are dried for up to several weeks on straw mats or in cardboard boxes. Or, they may be placed in slatted plastic boxers sort of like milk crates, and stacked several high. In any event, this process results in a dense and concentrated wine, and you’ll hear reviewers talk about Amarones using words like tarry (yes, really), chocolatey, chewy, raisiny, and even tobacco-y. Whatever you call it, or however you describe it, just try it…it is a taste and tactile sensation unlike any other wine I know. Just tremendous. There’s even another, hybrid Amarone-style wine called “Ripasso (“re-passed”), in which unpressed skins from an Amarone are added to a Valpolicella DOC wine for a second fermentation, adding body and tannin to young and “ordinary” Corvina-based wine. The technique was begun as far as I can tell by the wine producer Masi, which also tried without success to trademark the technique. Fun fact: “Amaro” means bitterness in Italian, but there’s no Amarone I know of that could be described as bitter. And in fact there’s a semi-sweet Amarone called Reicioto Della Valpolicella, where the fermentation is stopped early leaving some residual sugar. Charbono makes a big and powerful, dark wine that I first tasted only a few years ago at Summers Estate Wines north of Calistoga. It’s pretty rare, folks; in 2006 there were fewer than 100 acres of it planted in all of California. No, that’s not a typo. As far as I know, in the US it’s grown only in north Napa, Mendocino and Lodi, and few Americans have ever heard of it. Fewer still have tasted the wine. This fat-berried, thick-skinned grape has been planted in California since the1800’s and was only recently identified (of course by the wine-brains at UC Davis) as the virtually extinct Corbeau, or Charbonneau, that is grown in the Savoie region of France. It may also be related to Dolcetto of Italy’s Piemonte region. Anyway, Charbonos are lush, smoky, leathery and peppery in my experience. And while this does not conjure up “elegance” in a wine, they’ve got soft tannins, nice acid and drink well right from the vintage release. It’s as much an “American” wine as Zinfandel, so give it a shot! In addition to Summers, try Bonny Doon or Fife. I’m adding Frontenac in the red wine section not in spite of, but precisely because it’s a grape/wine that you’ve probably never tasted or even heard of. It’s actually the result of a cross (a mating of two of the same species) of a French-American hybrid and the native American Vitis Ripara. And it wasn’t even introduced until 1996, by a team at the University of Minnesota. Frontenac is a hardy grape that can prevail in temperatures down to about 30 degrees below zero. In other words, it can live happily through a mild Minnesota winter. It’s also very resistant to disease, and at harvest produces juice with high acidity, calling for malolactic fermentation to soften it. 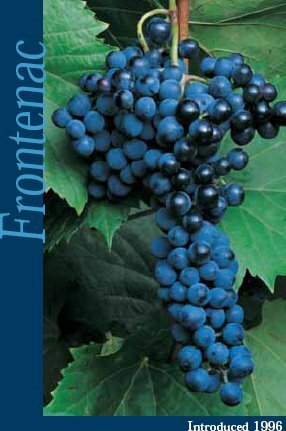 Frontenac wines are generally “cherry-forward,” both in aroma and flavor, often with distinct blackberry flavors, and some people taste a lot of plum in them. Frontenac is widely planted in the upper Midwest for obvious reasons and in New York State, and I heartily suggest you try Benmarl’s version, which is 75% Frontenac and 25% Marechal Foch, another obscure red wine grape. 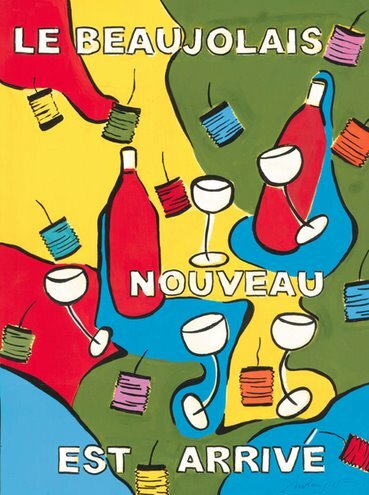 Whether or not you celebrate “Beaujolais Day” on the 3rd Thursday of November, you’ve doubtless heard of Beaujolais, right? This light, fruity stuff is easy drinking and is a good way for people who normally drink whites only to introduce themselves to reds. Many of these wines are fermented using Carbonic Maceration, a process in which whole clusters of mostly unbroken grapes are placed in a fermentation vat and then saturated with carbon dioxide. The CO2 penetrates the skins and causes fermentation to takes place within the berries, meaning that the wine will be less tannic and, some say, “fruitier” than wine fermented the traditional way. In practice, though, some berries on the bottom will be crushed by the weight of the fruit above, release their juice and ferment in the traditional way. The point here is to have lighter wines that can be drunk right after bottling. Other than the Beaujolais region, it also grows widely in Tours in the Loire, another famous wine region of France, but there it’s typically blended with Cab Franc and with Cot, a French clone of Malbec. From Spain where it’s called Garnacha, this vine produces truly black-berried grapes that ironically don’t carry a lot of color into the wine. Makes a wonderful Rose, too (more about that when I get to the Rose section). The best-known Garnachas are from the Priorato (Priorat in Catalan) in the northeast, an hour from the Mediterranean coast and fairly close to the French border. This is hilly country with some kind of unique, layered red slate soil called llicorella that is the secret of these monster wines of Spain. High in alcohol, Prioratos usually have a bit of Carinena grape in them, which used to be the dominant variety here. Garnacha is also the main grape in Navarra wines, up the Ebro river in Spain towards the Atlantic, opposite the Rioja region where Tempranillo reigns. In France Grenache is the base for one of my favorite reds, Chateauneuf du Pape, but in that wine it is blended with several other grapes, mainly Syrah, Mourvedre, and Cinsault. Some say Chateauneufs (if I can call ’em that) are the only great expression of Grenache but I can send some angry Spainards and an investment banker from Graham Avenue in Metuchen, NJ with drawn swords over to argue the point with them. Fun Fact: There’s also a gray and a white “version” of the Garnacha grape. And a “hairy” version of it, too! Eww. They say the grape originated in Aragon, you know, Catherine of Aragon, from Northern Spain, Henry VIII’s first wife and the one who kept her head. Literally. Some say this is “the new Cabernet.” Hooey. Malbec is a great grape and a wonderful wine in its own right, and the comparison is not only false but lazy. If you’ve got a good wine retailer, he or she will likely have at least a couple of these on hand, and they’ll probably be from Argentina which is currently claiming Malbec as its own “national” grape. They do produce wonderful stuff down there, given the hot dry climate and ideal soils. The wines are rich and jammy – not a bad thing here, although maybe in other cases and in other varietals. Fun fact: Malbec is one of the five grapes permitted in Bordeaux wines but you’ll rarely if ever find any. You’re more likely to find smidgens of Malbec in Bordeaux-style blends from Napa such as Rudd. Another fun fact: One of the local names for Malbec in France is Cot, and in Anjou in the Loire region they make wonderful dry and off-dry roses from it. Really! Properly pronounced “mare-low”, this seems to be the go-to grape and wine for legions of Americans who only sorta like red wine, and often won’t try any others. Even the cheapest dive around is likely to have at least one Merlot on the list, along with White Zinfandel, and it probably will be unremarkable, uninteresting, and ultimately unsatisfying. Merlot ripens a week or two faster than Cabernet Sauvignon, and tends to do a bit better in cooler climates as well, which makes it a very versatile grape. Yet Merlot can produce some truly superb wine on its own with the body of Cabernet Sauvignon, the perfume of Cab Franc, the boldness of Malbec, or the finesse of Pinot Noir. In fact, the right-bank wines of Bordeaux based on Merlot are commanding not only stratospheric prices and ratings these days, but also changing the way people think about the grape. One interesting development with Merlot is that the French have picked up on the fact that Americans, Aussies and other enthusiastic wine drinkers buy wine based on the grape and not the place where it’s grown. So, some smart and enterprising Frenchmen like Christian Moueix of Chateau Petrus fame have come out with Merlot varietals, clearly aimed at the new world market. I am including this grape here because you probably won’t hear about it elsewhere, and it’s an American grape in some ways. Sort of. First, notice the spelling, it’s “Sirah” not “Syrah,” and a variant is called “Durif” although most enologists and wingrowers says it’s really the same vine and grape. In the US it’s used as a blending grape in Zinfandels and occasionally in Pinots but is gaining some notice as a cult varietal wine on its own. With small berries there’s a lot of skin relative to juice, which leads to a lot of tannin, some smoke, and flavors of blackberry, plum, and coffee. These days, Petit Sirah and Durif are both recognized as varietals by TTB, the U.S. Federal Government Agency that regulates wineries. But even though they are alternative names for what is really the same grape, they can’t be used as synonyms on American wine labels according to the law. Some law. A law you don’t have to worry about, anyway. So, if you run across Petit Sirah in your wine store, buy a bottle a try it. It’s not always easy to find, and the wineries that grow it often only grow enough for a few hundred cases or less. Remember, this is all about expanding your taste horizons! Try Bogle, Stags’ Leap Winery, Concannon or Vincent Arroyo. 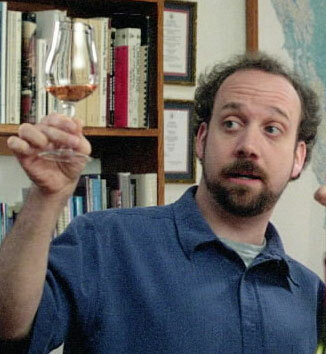 I can’t resist mentioning Sideways, the 2003 movie that brought new fame to the Pinot Noir grapes. Miles, the film’s main character, gushes on about the almost magical properties of Pinot. After the release of this movie, sales of Pinot Noir wines rose by more than 20% over the 2004-5 Christmas season period, compared to the same period the previous year! 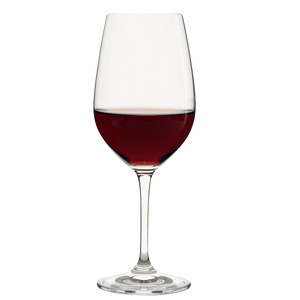 Especially compared to most other red wines (except, perhaps, Beaujolais), Pinot produces light, moderately to highly-perfumed and lightly-tannic wines that are often described as silky. At the same time, depending on where the grapes are grown, Pinots can offer an earthy or even musky aroma, which, when unwrapped, delivers up a core of black cherries, spice and fresh acidity with only a hint, if that, of tannin. Now, people who were weaned on Red Burgundies will tell you that the only true expressions of the grape are from Burgundy and will cite names you may have heard even if you’ve never tasted them. Yet I can suggest a dozen Pinots from Washington and Oregon State, South Africa and even Australia which, while quite different in character from their French cousins, have a lot to offer entirely on their own. I’ll name some great producers later. Fun Fact: Pinot Noir gives the word’s fines Champagnes and sparkling wines much of their backbone and character, and Blanc de Noir sparklers are often made entirely from Pinot Noir. Most grapes can be traced back at least hundreds, if not thousands of years. By contrast, Pinotage was literally invented in 1925 in South Africa by Abraham Izak Perold, who would become the first Professor of Viticulture at the University of Stellenbosch. It’s a cross of Pinot Noir with Cinsault, which creates a spicy, earthy wine with a lot of the character of Pinot Noir. This is a tremendous, underappreciated wine. This grape is grows in several strains, producing quite different wines, most prominently in Italy. It’s by far my favorite Italian grape, but it’s had a resurgence here in the US where wineries such as Cosentino in Napa and Pedroncelli in Sonoma produce excellent versions. I always think of “juicy” when I drink Sangiovese – although that’s kind of absurd since all wine is “juicy” by definition, isn’t it? Sangiovese is the one red wine I can recommend to anyone regardless of their tastes and preferences in reds, or especially when I don’t know what they like…or even if they drink reds at all. It’s Italy’s most important grape by just about any measure – acreage, production, and reputation. And, maybe, national character even. With 14 clones it’s the grape of Brunello, Brunello di Montalcino, Montepulciano, Prugnolo and dozens more of Italy’s finest wines. But most of all Sangiovese is the grape of Chianti, and of the so-called Super Tuscans, Sangiovese-based reds with some Cabernet Sauvignon tossed in for added body and longevity. 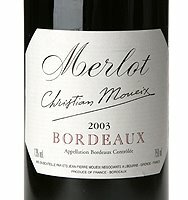 Sometimes Merlot is also added for softness and roundness. Most wine aficionados describe Sangiovese as having a violet-like aroma, a strawberry flavor, with a little spice. It’s an outstanding food wine in my view and with a wiede vareity of styles to choose from, from within Italy alone, you can find a Sangiovese-based wine you will love! This is another very versatile grape depending on where it’s been grown, and the prevailing winemaking style there. For example, Australia’s Shiraz wines (same grape, different spelling down under) are typically jammy, spicy, opulent and intense, with relatively high alcohol that makes them a little hot on the tongue. I don’t want to prejudice you, but some Aussie Shiraz(es?) are so potent that they overwhelm my palate, anyway, a few sips into the second glass. However, Syrahs from France’s Rhone valley are generally quite different – higher in acid, less fruity, better balanced and in my view more drinkable. But both styles have their fans, so you be the judge and try both. I really don’t want a gang of pissed-off, Vegemite-deprived, boomerang-throwing folks with Aboriginal hunting skills coming after me, so DO try the Aussie version. Please. You’ve got to really love red wine to even get near this one. Tannat grows in southwest France in a region called Madiran and produces what I think is the most dense and tannic wine in the world. Yet in the hands of a skilled winemaker, the stuff is great, can cellar for decades or more, and is probably drinkable after about 5-7 years although I’d urge you to decant and wait an hour or so before drinking a Tannat wine that young. My personal favorite is Montus Madiran, shown at right. Madirans are often blended with a bit of Cabernet Sauvignon, or Cab Franc and sometimes with Fer Servadou (called “Pinenc” in the Madiran region itself). Tannat has become one of the signature grapes of Uruguay, responsible for about a third of the wine produced in that country…look for great stuff from Don Prospero, Omar Perco, and Bouza. Most interestingly of all – to me, anyway – Tannat is grown and produced as a varietal in California and Virginia among other places, after it was recognized by BATF (now TTB) in 2002. Look for good good stuff from Tablas Creek in Paso Robles or Chrysalis Vineyards in Virginia. Also called Tinto Fino in Spain and Tinta Roriz in Portugal, Tempranillo is a small-berried, thick-skinned grape best known in Rioja wines, and also in Ribera Del Duero wines, too. Tempranillo berries are big and fat and produce tannic, dark wines that remind me a bit of Madirans made from the Tannat grape. They also have a nice backbone of acid that when combined with these other elements, gives them the ability to age gracefully for a long time. This contrasts with years past when these grapes were mostly used for local and decent if simple rose wines. Fun fact: While reliably known as a Spanish grape, I am (also reliably?) informed that it’s also grown in France, in the Herault Departement of the Languedoc. Still, most of the red wines from that area are made from Cabernet Sauvigonon, Merlot, Carignane, Grenache, Syrah and Cinsault. The “state grape” of California makes a spicy, zesty, slightly sweet wine that goes great with ribs, wings, burgers and other savory meats. Zinfandel gained some notoriety in 1975 – or perhaps just created some confusion – when Sutter Home winery in St. Helena, California created White Zinfandel, essentially by accident when they experienced a stuck fermentation. Yet Zin is among the world’s heartiest, spiciest, meatiest red wines…and speaking of meat, Zin is famous – as you almost certainly know already – as an accompaniment to barbeque and other savory meats. And there’s a trade group called ZAP, Zinfandel Advocates and Producers, that puts on one of the most fun wine shows you’ll ever attend. Very Longwinded Fun Fact: Zinfandel has long fascinated winegrowers and winemakers and a lot of “wine sleuthing” went into tracking down its origins in recent years. UC Davis Professor Carol Meredith used DNA fingerprinting techniques to determine that Zin was actually almost identical to the Italian Primitivo grape – essentially different clones of the same variety – based on an earlier hunch of fellow UC Davis Prof Austin Goheen. 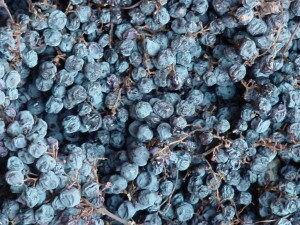 A few years later, after getting a bunch of California Zin producers involved in the hunt (Notably Mike Grgich, the Croatian immigrant and winemaker, and one of the first employees of Robert Mondavi Winery), the origins of Zin/Primitivo were determined to be the Croatian Grapevine Crljenak Kastelanski. Sadly, this means that the “only true American grape” is hardly that. 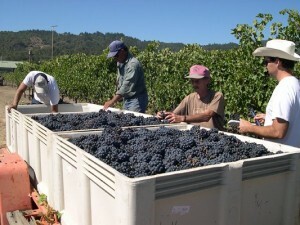 But it’s still a very nice – and very American – wine; at left, from a photo provided by ZAP, you see California workers harvesting the fall 2007 crop.